I am pretty lucky! I get to teach Science all day...everyday! My students come to me excited and leave saying things like "that was fun" and I even hear "I love Science! ".I get so many hugs...so many high fives...I even can say the behavior issues that other teachers see at times in their room, doesn't really show up in mine. I can attribute that to what science can do for kids. It can actively engage them when other classes don't. It can get them thinking for themselves instead of being very robotic with other concepts. My week with students starts often before a given holiday...so I get to celebrate all week. Dr. Seuss WEEK...Halloween WEEK...you name it I get to teach under that topic ALL week. This week in particular is lucky! I start with some of my lowest classes (academically). I can at times give them the answers to the test right before the test in a review and they still struggle...even when the test is read to them. Why am I telling you this? 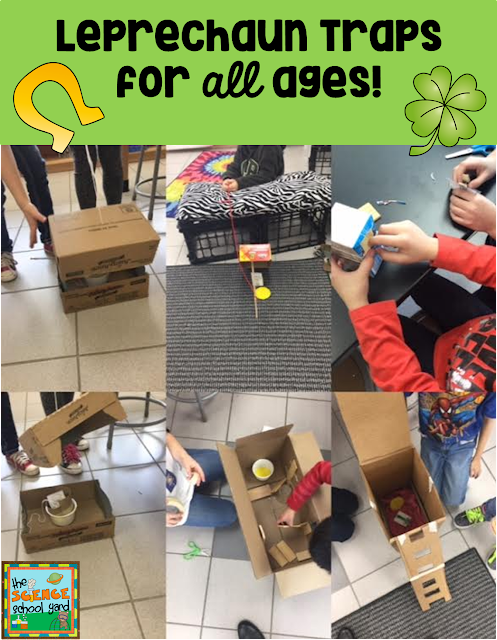 Well, let's just say I have done my STEM St. Patrick's Day Pack for two years now and this group of kiddos this week so far have blown me away with their creative traps and wishing wells. It surely made me wonder how students that struggle on the fact based tests, can perform such amazingly thought worthy and unique ideas! 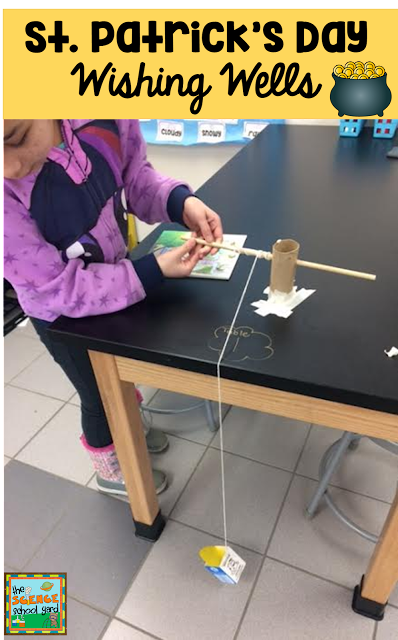 Different grade level...different STEM concept! Lucky me that I made 4 sSt. Patrick's Day STEM Pack Can Be Found HERE!tations! In our wishing well activity my third graders got to make something similar to the water wheel we made in our FOSS Water kit. I gave them each a gold coin to add a wish to. They needed to put it in something on the ground that would then be mechanically pulled up to the table top! It was so great to see them work together and then share their wishes! 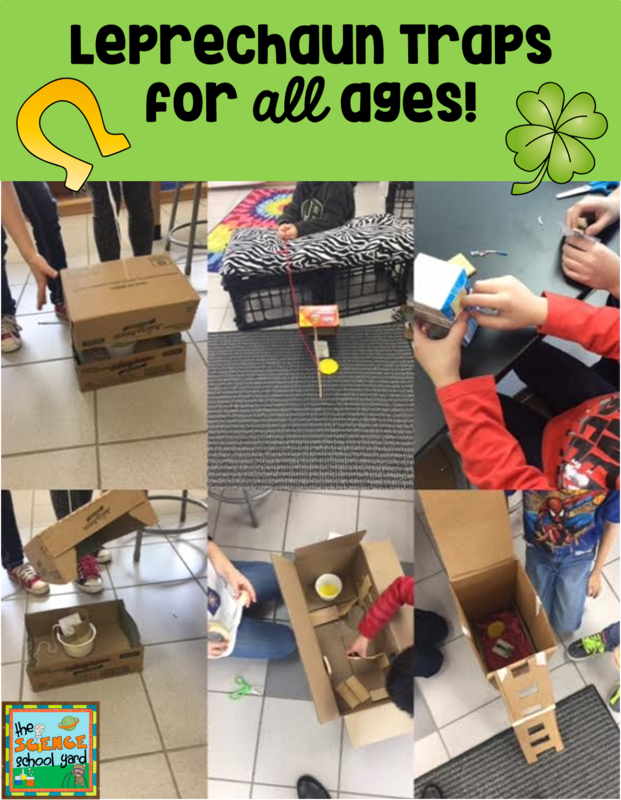 If you are still looking for something for St. Patrick's Day...this is the perfect way teach keep your students engaged! They will be as lucky as my students have been! 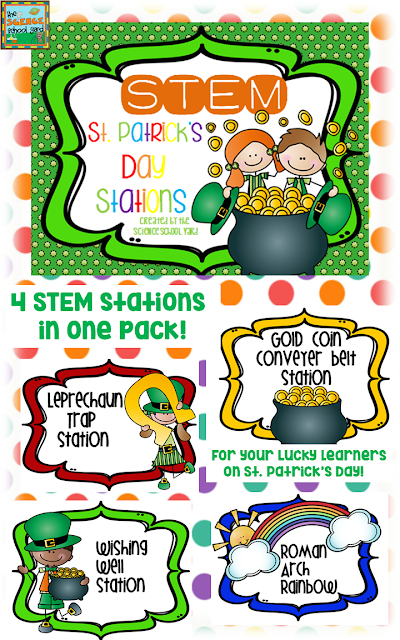 St. Patrick's Day STEM Pack Can Be Found HERE!